A lumbar puncture, also known as an LP or spinal tap, is a procedure that doctors use to collect spinal fluid. During an LP, a needle is inserted between the bones of the lower back and into the spinal column. A small amount of spinal fluid is then extracted and the needle is withdrawn. The very thought of a spinal tap can be scary to many people, the feeling of which may only increase when a baby is involved. But, in truth, when performed by a professional experienced in pediatrics, it is often more uncomfortable than painful. Many parents are surprised when informed that their baby needs a spinal tap, especially if the child doesn't appear all that sick. But the test is considered vital since certain causes of meningitis, such a group B strep bacteria, don't always manifest with the classic signs of the disease. And, this is important since the lack of symptoms doesn't make the condition any less serious. By performing an LP, a doctor can quickly confirm the diagnosis and prescribe the right course of treatment. In addition to meningitis, spinal taps may be used as a means of therapy rather than diagnosis. This includes treating a condition called hydrocephalus in which fluid accumulates in the brain, most commonly in babies with severe intraventricular hemorrhage. In such instances, doctors may use a spinal tap to drain excess blood and fluid to either prevent or delay the need for a shunt. 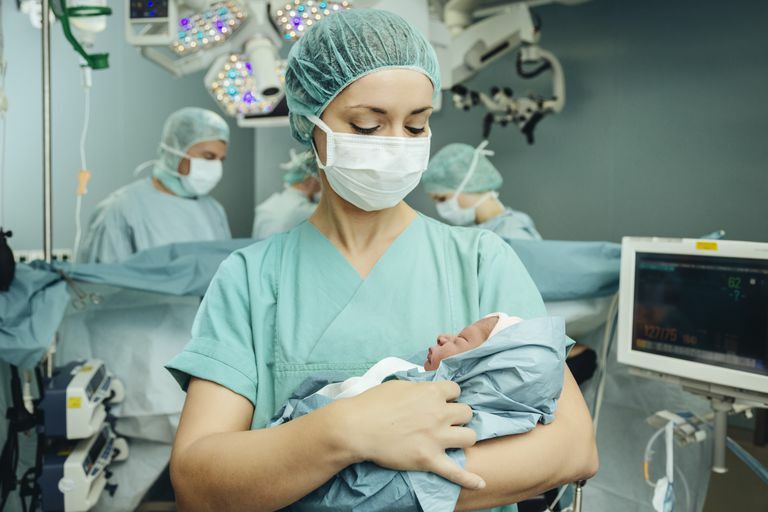 A lumbar puncture is an invasive procedure that requires careful consultation to ensure that it is both appropriate and safe, especially for premature babies. Deciding whether or not to do one is never an easy choice. Spinal taps can quickly diagnose serious and life-threatening illnesses. Meningitis can only be diagnosed using a spinal tap. The results of a spinal tap can prevent a child from being exposed to incorrect or inappropriate medications. Spinal taps can be uncomfortable and emotionally distressing to parents. Infection is a risk of any invasive procedure. Headaches and bleeding can sometimes occur. Premature or sick babies may experience a decreased heart rate or oxygen saturation during the procedure and require supplemental oxygen. Depending on the situation, the parent may or may not be allowed into the room during the LP. The procedure takes around 30 minutes and involves the insertion of a thin needle between the bones of the lower spine. Babies are often positioned on their sides with their knees tucked under their chin. Newborns may be seated upright in a tucked position. Once the child is correctly placed, the lower spine area will be cleansed with an antiseptic. The doctor performing the procedure will wear sterile gloves to prevent infection. A small puncture will then be made through the skin of the lower back, and a liquid anesthetic will be injected to alleviate pain. A numbing cream may also be applied before the injection to better minimize discomfort. Srinivasan, L.; Harris, M.; and Shah, S. Lumbar Puncture in the Neonate: Challenges in Decision Making and Interpretation." Seminars in Perinatology. 2012; 36(5):445-53. DOI: 10.1053/j.semperi.2012.06.007.